Encompass Southwest relies on donations to support our work, there are a variety of ways in which you can donate, these are listed below. All cheques should be made payable to Encompass Southwest and can be sent to our main office at: Suite 1, 2 Bear Street, Barnstaple, North Devon EX32 7BU. Encompass Southwest is a registered charity 1145286. Remembering Encompass Southwest in a will not only helps future projects that the charity will be developing, it may also help the donor to avoid inheritance tax. Most employers have signed up to the Payroll Giving scheme whereby staff can support a favourite charity through their salary. Donations are deducted before tax which means that a monthly gift of £5 costs the donor only £4. If you use the internet to shop then why not use the easy fundraising link below, every time you spend Encompass Southwest receive a donation. Remember you can Gift Aid your donations. Encompass Southwest are proud to support this new multi-agency initiative aimed at making a real change to the lives of those who rough sleep and beg. 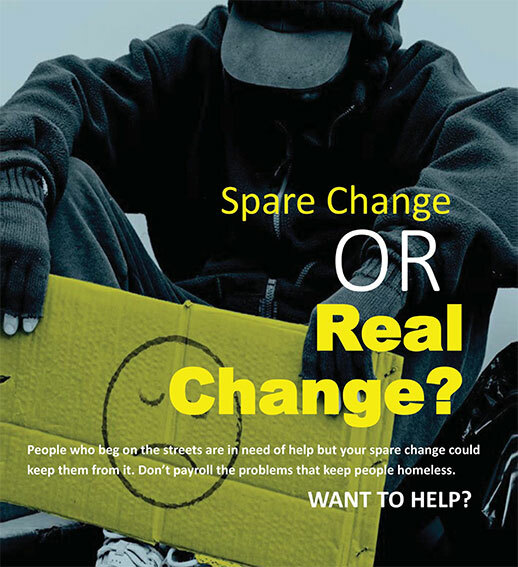 We are asking members of the public to think before handing over money to beggars, instead you might want to think about making a donation to a charity such as ours who help get rough sleepers from the streets into accommodation.